It’s thought that the first plate of Buffalo wings was served in 1964 at the Anchor Bar in Buffalo, New York. Now, decades later, you can get wings almost everywhere. If you’re a true connoisseur, Oklahoma is a force to reckon with in the ever-changing scene of chicken wings. Here are our 10 local favorites in the state! Named “Best Wings in OKC” by the Oklahoma Gazette, Wing Supreme is fairly-new to the Oklahoma City area. It’s just north of the capital, so when you visit your state representatives, stop by and check it out. 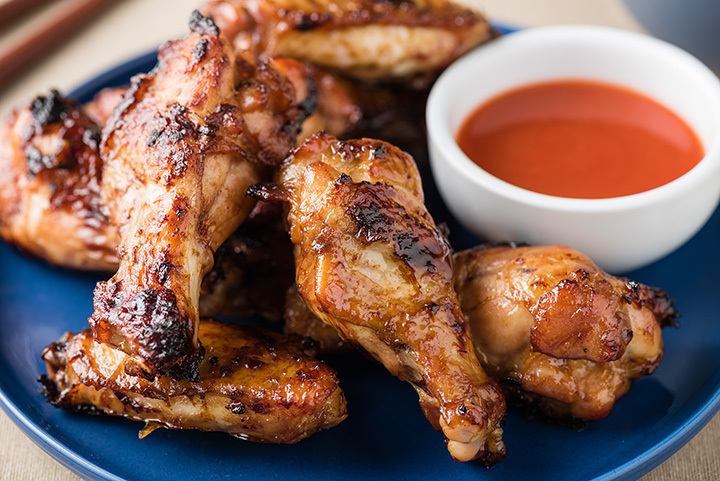 Slow-smoked wings, served with your choice of sauce. Enjoy a bourbon while you’re there, as it boasts Tulsa’s largest collection. When you’re in the Brady District for entertainment, you’ll want to hit up this local place that dusts the wings in “Rusty Dust” before coating them with sauce. They’re juicy and succulent, everything you want in a wing. The fusion wings are said to be some of the best in this town. The kimchi here is to die for, and the wait staff could not be friendlier. When you’re in southwest Oklahoma, you’ll want to check out Val’s for a great serving of wings and house-made ranch dressing. Gambino’s proudly proclaims, “You’re gonna love it!” And no one can argue that. Wings are cooked perfectly, and come in a variety of flavors such as hot, barbeque, parmesan garlic, ranch, teriyaki, roasted, sweet chili, hot barbeque and spicy garlic. Mama E’s started out with wings and waffles and grew to featuring all kinds of soul food, but the wings will keep you coming back. Spicy wings, fried to perfection. If you’re brave, you’ll want to try the chicken toes. The atmosphere is unbeatable at Two Frogs. Big Splash hand breads their chicken wings before cooking, then serves the wings with spicy sauces. The service is friendly, and if you’re looking for more, try their chicken fried steak sandwich. Yum!